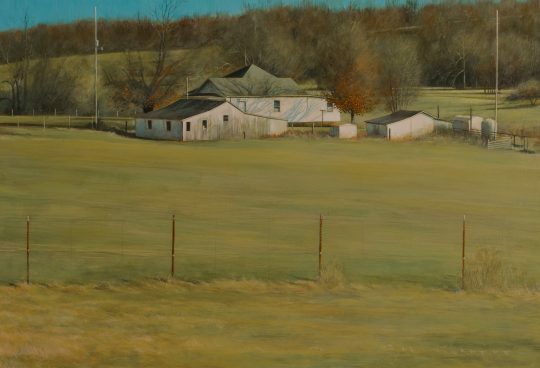 Contemporary painter Daniel Coston’s BEYOND THE PHOTOGRAPHS will open March 11 at Cantrell Gallery in Little Rock, Arkansas, and will continue through May 7th, 2016.Â The opening night reception for BEYOND THE PHOTOGRAPHS will be on Friday, March 11, 6-8:00. Please join us! 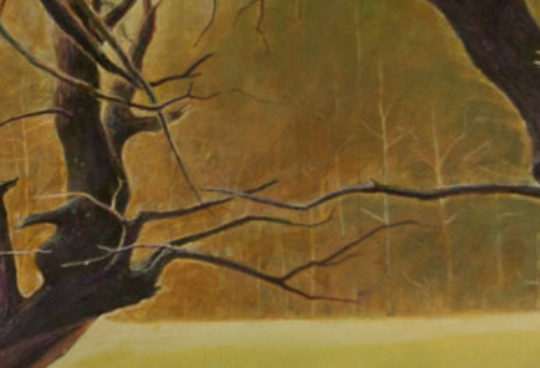 It will be a great opportunity to visit with the artist while viewing his works. If you canâ€™t make it that evening, the show will continue through May 7. Cantrell Gallery is located at 8206 Cantrell Road, Little Rock, AR. Gallery hours are Monday â€“ Saturday, 10-5:00.Â Call (501) 224-1335 for questions or directions. â€œEvery year I take a lot of reference snapshots of Arkansas that I add to an ever-growing archive.Â Many of the images are useless but a few remind me of things I saw as a kid in Southeastern Arkansas.Â Some even seem iconic to me, expressing something about the geography we call home. So I work on these pictures…drawing the scenes until I think I can do something worthwhile.Â These photos evoke memories in me.Â I want to bring these memories back.Â At times, the memories could be about the sunlight on a particular day…the sky in December…the thunderheads boiling up over a field. I call this show BEYOND THE PHOTOGRAPHS because the ideas for most paintings come from a snapshot. As I work up the painting, I have to expand the visual information in order to make it work.Â One thing I almost always do is to look into the shadows so I can understand what is hidden and bring those things into view.Â The photos are what I start with but they are not what I finish with. Daniel Coston is a native of Monticello, Arkansas. 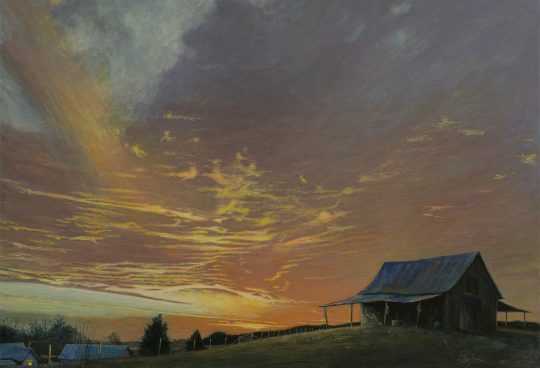 He completed his BA in Art from Harding University in 1968. 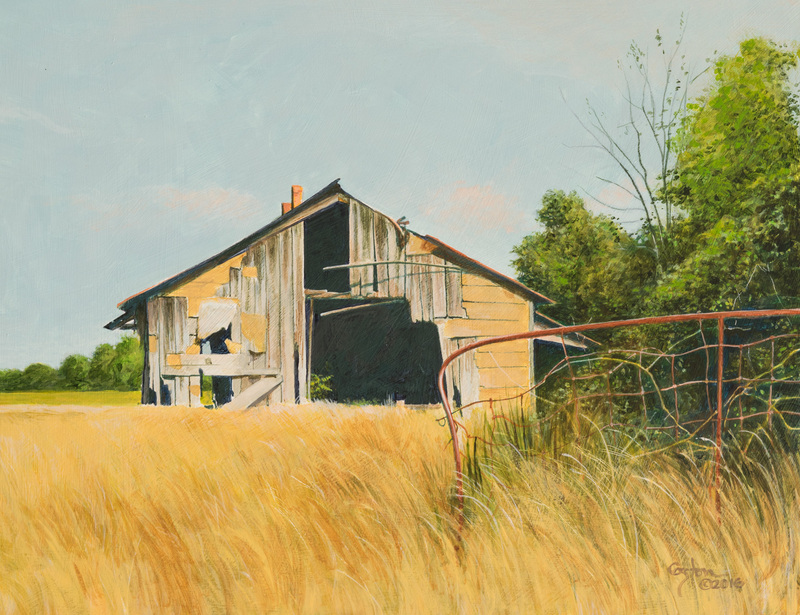 He predominantly paints with acrylic, but his style is influenced by Eakins, Hopper, and Wyeth. 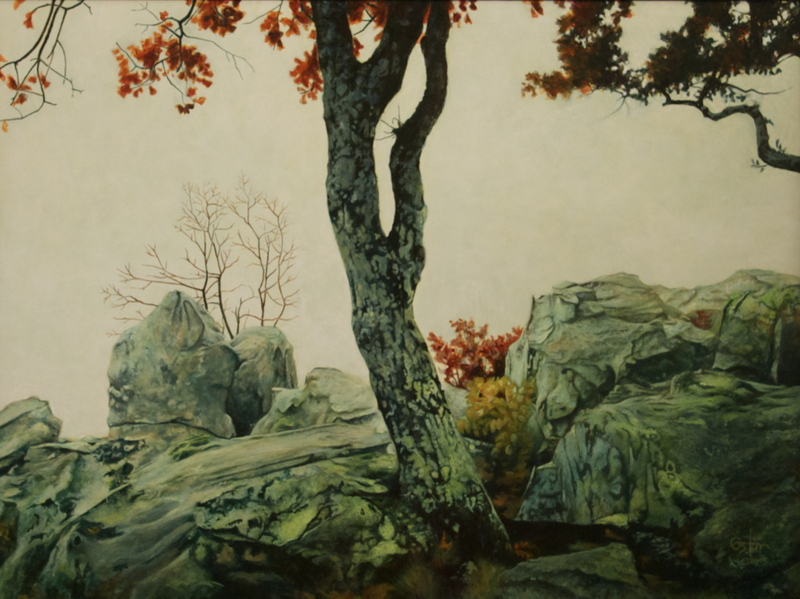 Coston has had solo shows at Cantrell Gallery (Little Rock) and Aerie Art (Rehoboth Beach, DE). 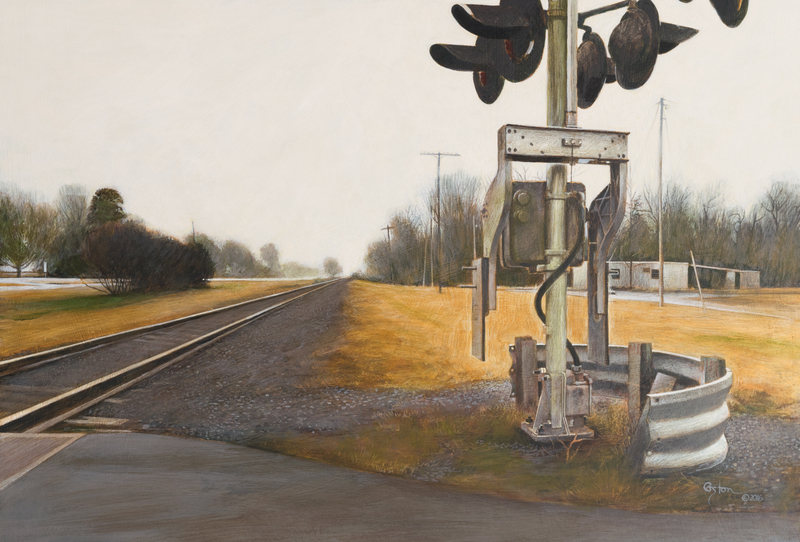 His paintings are in numerous public and private collections and have been included in the Arkansas Arts Centerâ€™s Delta Exhibition. He lives and works in Fayetteville, Arkansas.